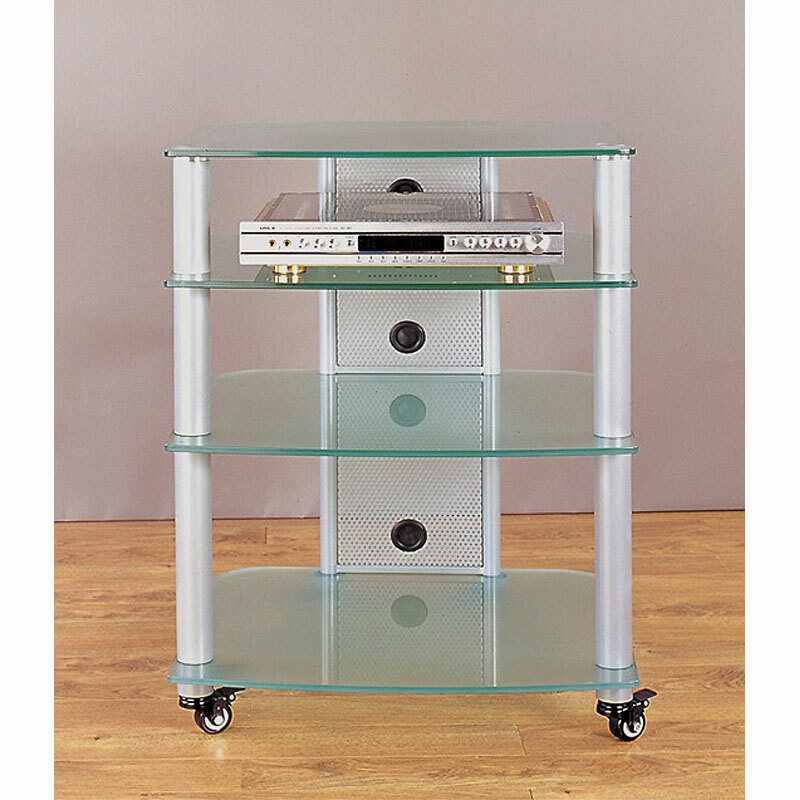 More on the VTI 4-Shelf Mobile Audio Rack (Silver with Frosted Glass) NGR404SF below. Call a VTI AV rack specialist at 1-800-807-1477. 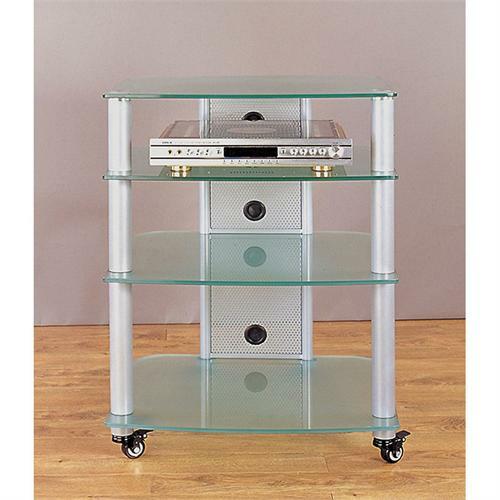 4 extra-thick (0.4"), clear, tempered glass shelves. Shelf Spacing: 13", 9" and 7"